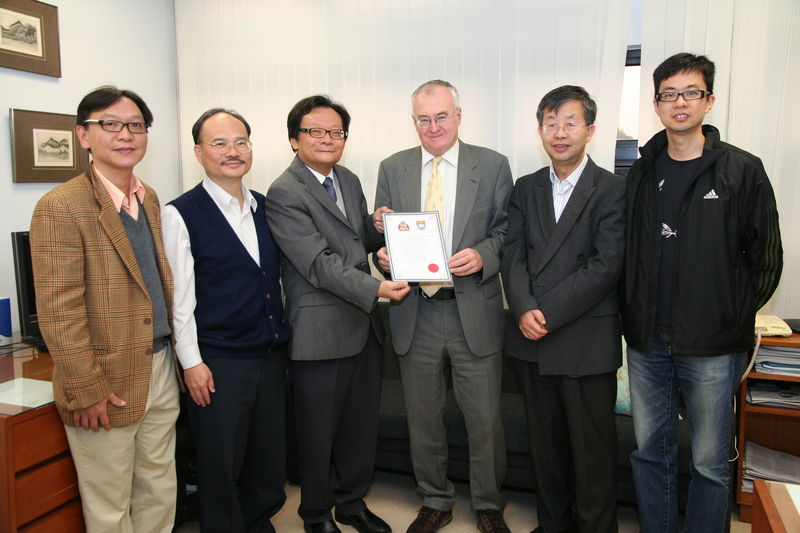 An agreement was signed between the Department of Statistics and Actuarial Science and the Institute and Faculty of Actuaries (IFoA), United Kingdom, to accredit the BSc(ActuarSc) programme for IFoA subjects CT1-CT8, with effect from 5 September 2011. The BSc in Actuarial Science programme, offered by the Department of Statistics and Actuarial Science, is the first programme in Asia obtaining such accreditation from IFoA. According to the agreement, students who graduate with the BSc(ActuarSc) degree with the required marks in specified subjects will then be exempted by IFoA for subjects CT1-CT8, or some subjects of CT1-CT3 and CT5-CT7, as they begin the journey towards qualifying as an actuary. For more details of the IFoA exemptions, please visit here.